Posted on August 15, 2016 by Norwich Radical	in Inter|national and tagged anti-capitalism, capitalism, classism, CLP, corbyn, dignity, Ed Miliband, egoism, entryism, envy, establishment, extreme poverty, jeremy corbyn, Labour, labour party, left wing, meltdown, outlier, owen smith, Oxfam, Parliament, parliamentarianism, PLP, politics, poverty, state, tom watson, Trotskyism, uk, wellbeing, witch hunt. 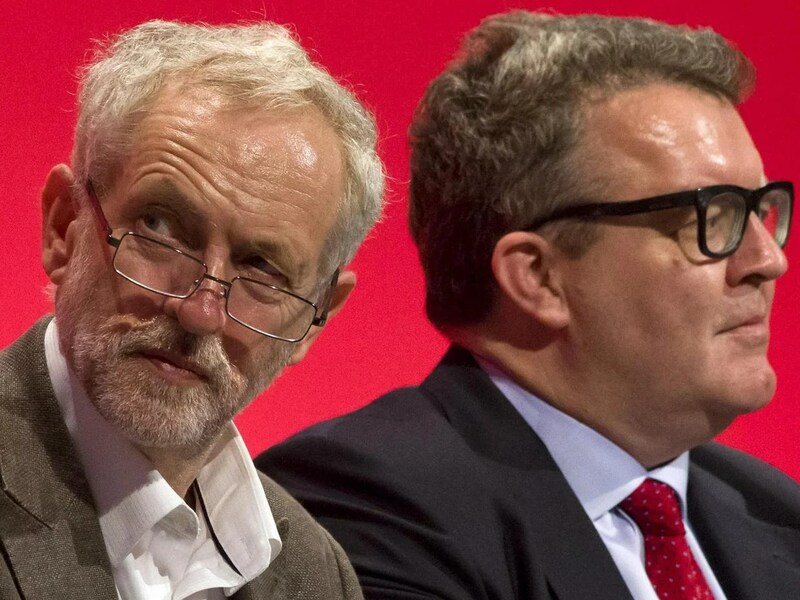 If, over the last year or so, anybody has been monitoring political discourse, it should have come as no surprise that the Labour Party has collapsed into meltdown. From an anti-electoral onlooker’s perspective, it is over trivial matters; but to the dedicated parliamentarian, it is a cause for some concern. In particular, there are the issues surrounding supposed “entryists” and “Trotskyists” amongst the rank-and-file of pro-Corbyn Labourites. A bitter repeat of the witch hunts against members of the “militant tendency” in the 1980s, this too would be no surprise to those who had the foresight to expect it. Whilst I am not writing this to defend Trotskyism – or even to defend entryists tactics, parliamentarianism, and so on – I am writing in defence of those who hold viewpoints that are considered outliers to the common political discourse; and in spite of the fact that left-wingers are brandished with the label of “the politics of envy,” there is a perfect justification for envy. It is not a label from which we should blush and shy away. After all, were not the starving peasants in the fullest right to envy the lord who stole food from their table? Would we have the nerve to tell a homeless person that they are wrong to envy the tonnes of food that is wasted by stores otherwise full of it? Although, it is true, many of us are not on the brink of starvation, it is also true that we are being robbed of our future. As relative poverty increases – with, for example, one third of people being one paycheque short of losing their homes – and plummets an expanding population into the fires of deprivation, we are faced with a leviathan which did nothing else than begin this fire. Capitalism is the coal – continuously growing, renewing, and serving as the base fuel – and the state is the bellows – acting as a constant, unstoppable air supply. Slowly, the burglar creeps up to mug the unsuspecting person, making a getaway behind the security of the state. We, in contrast, are left with the demeaning, monotonous jobs which provide the final component of the triadic fire: heat. Without our labour, without hours of our lives per day, their wealth would not be possible. Investment in productive capacities is certainly an important factor, but it would not accrue to profitability if it was not first activated and circulated by the means of land and labour. The former, although not worked by them, is owned by proprietors; and the latter, although strictly speaking does not belong to anybody but the individual, is nevertheless marketed, auctioned, and sold for a small fee. Without our complacency within this system, their security would not exist. And as the accumulation of wealth is forever concentrating, now would be a good time to ask: why is it wrong to envy those who hoard what they did not create? From the 1800s to today, even though the individual has been paid a daily wage, the collective force remains to be paid. Simply because people are awakening to this fact – in spite of internalised disagreements over the necessary methods to progress forward – it does not mean that there is a coming generation of “entitled,” “spoiled” beggars. Quite the contrary: it means that we want our lives back. It is not a cry of expectation for everything to be handed to us without work; rather, it is a shout that asks: how can we compete, how can we live adequately, when our means to work is out of our control? It is, quite simply, about reclaiming dignity. The reality, on the other hand, is working in an inverse proportion: control is inadvertently slipping into the hands of fewer and fewer people. how can we compete, how can we live adequately, when our means to work is out of our control? 5. Sustainable, free living and enjoyment of a dignified life free of false obligations which do not reciprocate respect and wellbeing – i.e., the state and capitalism. It should come as no shock to anybody that we are envious of those at the very top who have illicitly gained their lifestyles through extortion, monopoly, and coercion, to the expense of the rest of us. Until we realise a system wherein this is not the case – and I do not argue that this is done via an intensification of the two pillars mentioned earlier (the state and capitalism) – then we are in the fullest right to express envy and rage at a system which steals, lies, and forgets.